RG Fort & Sons has been providing its residential and commercial Long Island plumbing services throughout Long Island for over ten years. Our family owned and operated business is dedicated to the loyal clientele we have acquired, which is why we offer an expert team of plumbers on Long Island who are licensed, insured, and Better Business Bureau (BBB)-affiliated with an A+ rating. Our Long Island plumbers proudly serve both residential and commercial properties throughout Suffolk County Long Island, offering 24-hour service, a reliable team of expert plumbers, and unmatched customer service. Our plumbers services are extensive, covering everything from new construction, bathroom/kitchen renovations and repairs, boiler installation, plumbing services for home, commercial plumbing, heating, and much more. Contact RG Fort, your local Long Island plumbers so that we can better assist you with your property. Call 516-924-9914. RG Fort & Sons are reliable and experienced Long Island plumbers that have been in business for over ten years. We are a family-owned and operated business and are the Long Island plumbers that have providing quality plumbing service to all of Long Island. We are fully licensed, insured, and have an A+ rating from the Better Business Bureau. When you are looking for Long Island plumbers, look no further than RG Fort & Sons. We are available to provide plumbing and contracting services to your residential and commercial property. Our services include new construction, bathroom and kitchen renovations, repair, plumbing, heating, boiler installation, and much more. Compared to all other Long Island plumbers, RG Fort & Sons offer expert plumbing services and unmatched customer service. If you are considering Long Island plumbers for radiant heating and installation, then contact RG Fort & Sons. We provide seamless and affordable radiant floor heating installation for both residential and commercial properties. Our experienced plumbers will run the pipes that filter hot water under your floors, from room to room, and radiate warmth throughout your Long Island home. Contact RG Fort & Sons, the Long Island plumbers that can install this efficient and cost-effective heating system. RG Fort & Sons are also the Long Island plumbers that can handle any bathroom or kitchen renovations. Our Long Island craftsmen can work with you to provide both design and functionality to your kitchen and bathroom. Whatever appliances and accents you decide upon, we can help to make the whole process run smoothly. 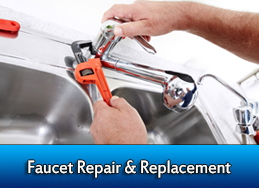 We can also provide faucet repair and replacement services for your kitchen or bathroom. 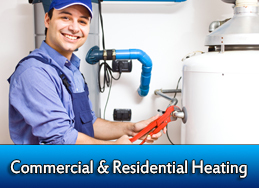 Perhaps you are looking for a plumber to convert your home Long Island to a natural gas heating system. It is no secret that gas heat is regarded as a cleaner and more efficient solution for heating, and natural gas is also substantially less expensive than oil heat. If you have made this economic decision for your residential or commercial property, then contact RG Fort and Sons, the Long Island plumbers that can convert your location to a natural gas heating system. And for Long Island plumbers who can perform any plumbing related service, contact RG Fort & Sons for all of your plumbing needs. 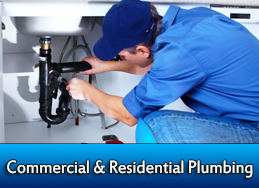 Our plumbers are experienced in all aspects of plumbing, both residential and commercial. Our services include renovating the plumbing systems of entire houses, slab leak repairs, tankless water heater replacements, sewer line repair, and much more. RG Fort & Sons can provide solutions to any full-scale plumbers needs. Contact us today at 516-924-9914 for all of your plumbers needs.